Lenin read his report: “Five Years of the Russian Revolution and the Prospects of the World Revolution” in German at the morning sitting on November 13. I am down in the list as the main speaker, but you will understand that after my lengthy illness I am not able to make a long report. I can only make a few introductory remarks on the key questions. My subject will be a very limited one. 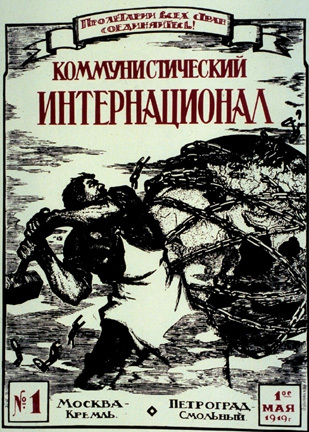 The subject, “Five Years of the Russian Revolution and the Prospects of the World Revolution", is in general too broad and too large for one speaker to exhaust in a single speech. That is why I shall take only a small part of this subject, namely, the question of the New Economic Policy. I have deliberately taken only this small part in order to make you familiar with what is now the most important question—at all events, it is the most important to me, because I am now working on it. I have said that we have done a host of foolish things, but I must also say a word or two in this respect about our enemies. If our enemies blame us and say that Lenin himself admits that the Bolsheviks have done a host of foolish things, I want to reply to this: yes, but you know, the foolish things we have done are nonetheless very different from yours. We have only just begun to learn, but are learning so methodically that we are certain to achieve good results. But since our enemies, i.e., the capitalists and the heroes of the Second International, lay stress on the foolish things we have done, I take the liberty, for the sake of comparison, to cite the words of a celebrated Russian author, which I shall amend to read as follows: if the Bolsheviks do foolish things the Bolshevik says, “Twice two are five", but when their enemies, i.e., the capitalists and the heroes of the Second International, do foolish things, they get, “Twice two make a tallow candle”. [ 2 ] That is easily proved. Take, for example, the agreement concluded by the U.S.A., Great Britain, France and Japan with Kolchak. I ask you, are there any more enlightened and more powerful countries in the world? But what has happened? They promised to help Kolchak without calculation, without reflection, and without circumspection. It ended in a fiasco, which, it seems to me, is difficult for the human intellect to grasp. [ 3 ] Black Hundreds were monarchist gangs that were formed by the tsarist police to combat the revolutionary movement. They murdered revolutionaries, attacked progressive intellectuals and organised Jewish pogroms.